These hard-to-find vintage string lights will remind you of your childhood! 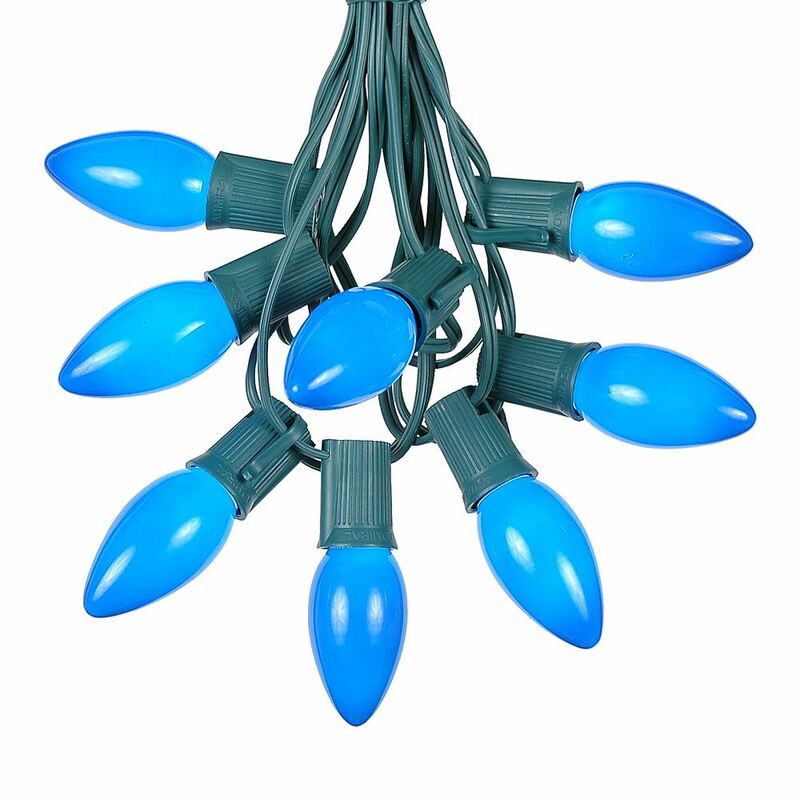 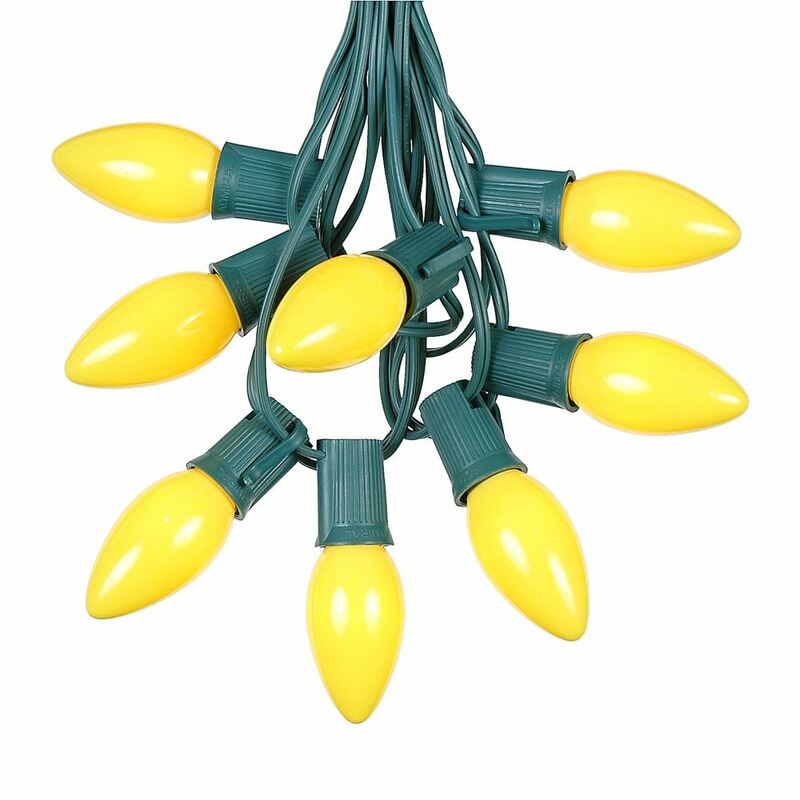 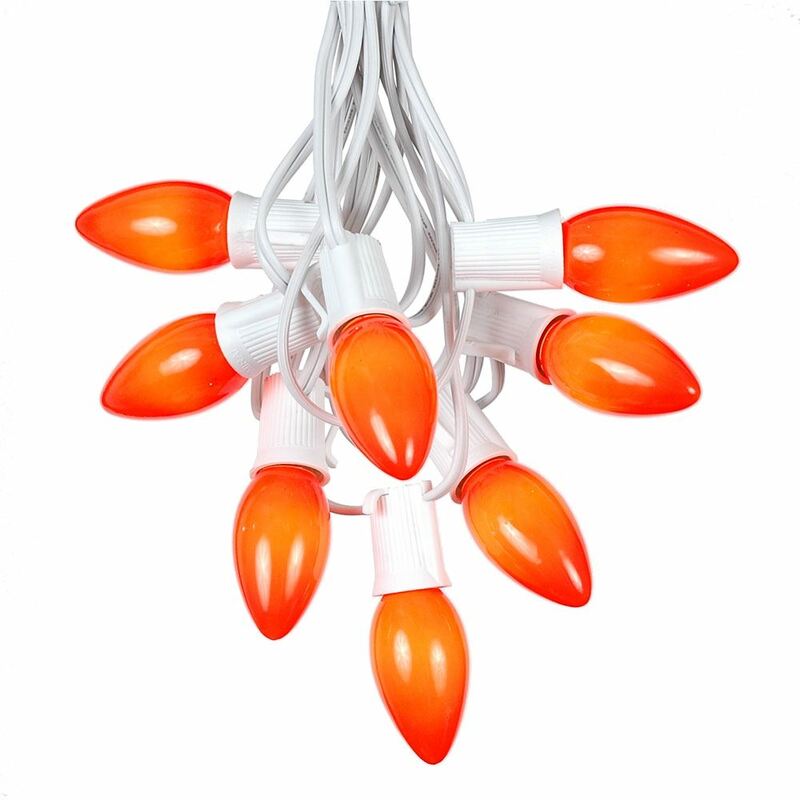 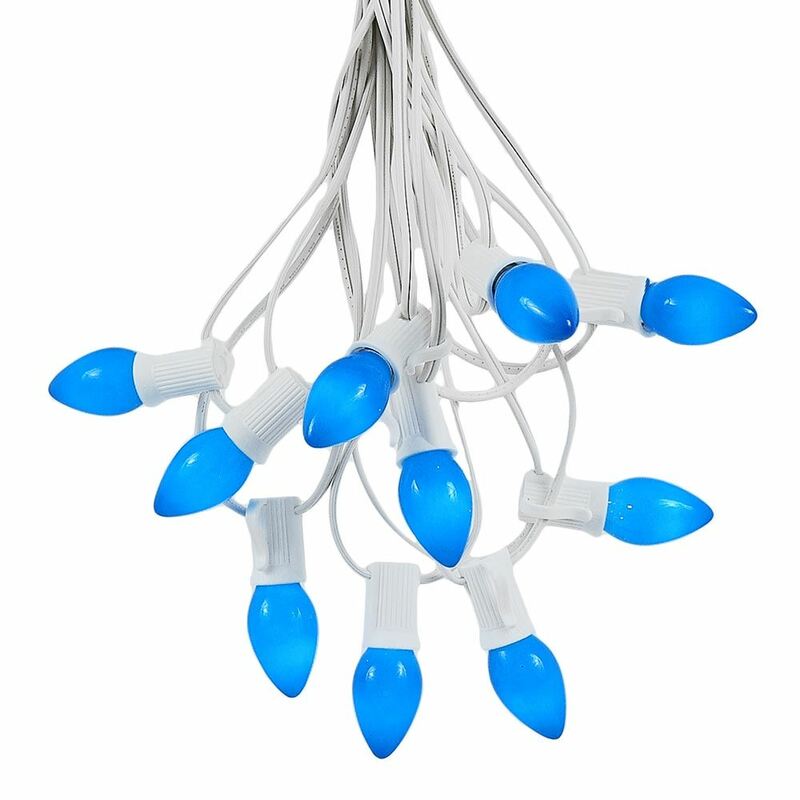 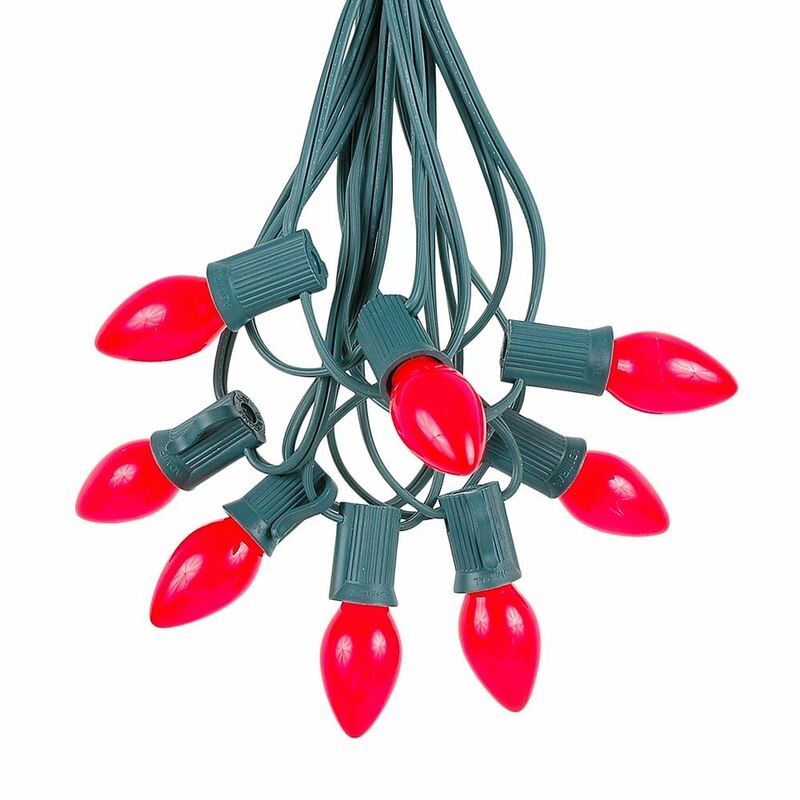 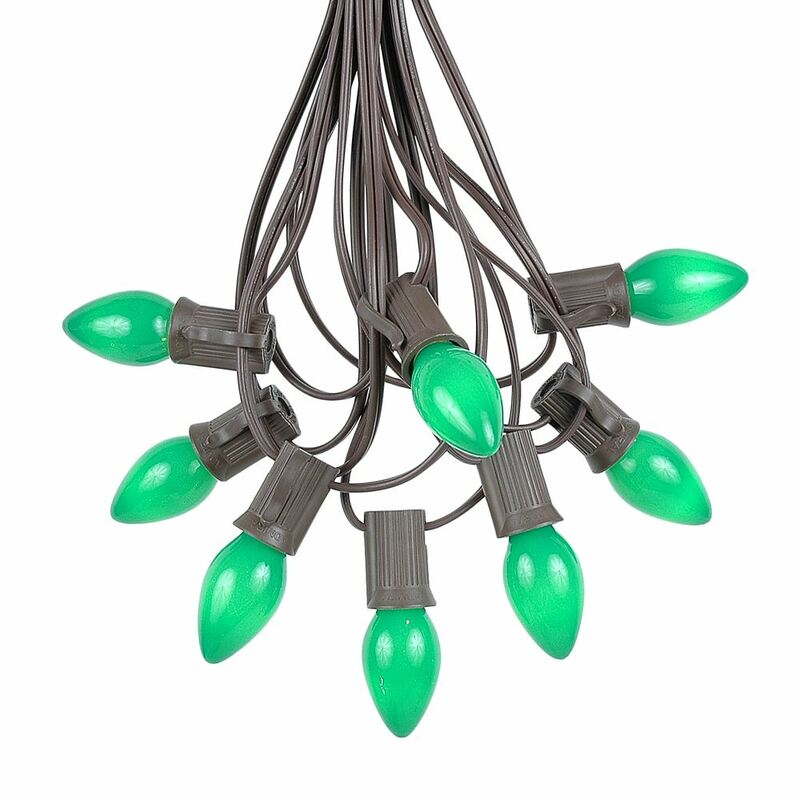 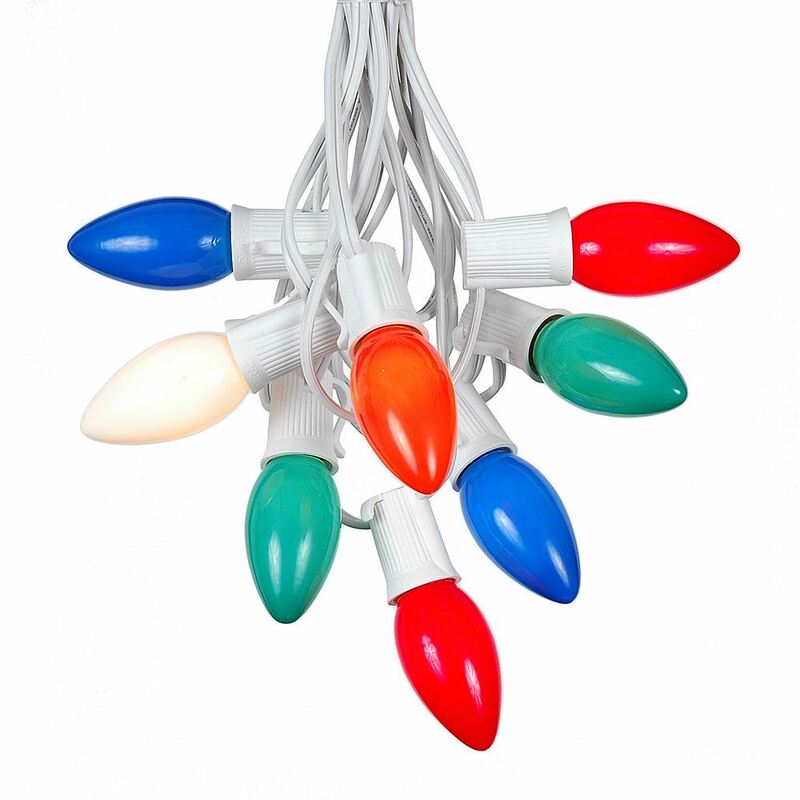 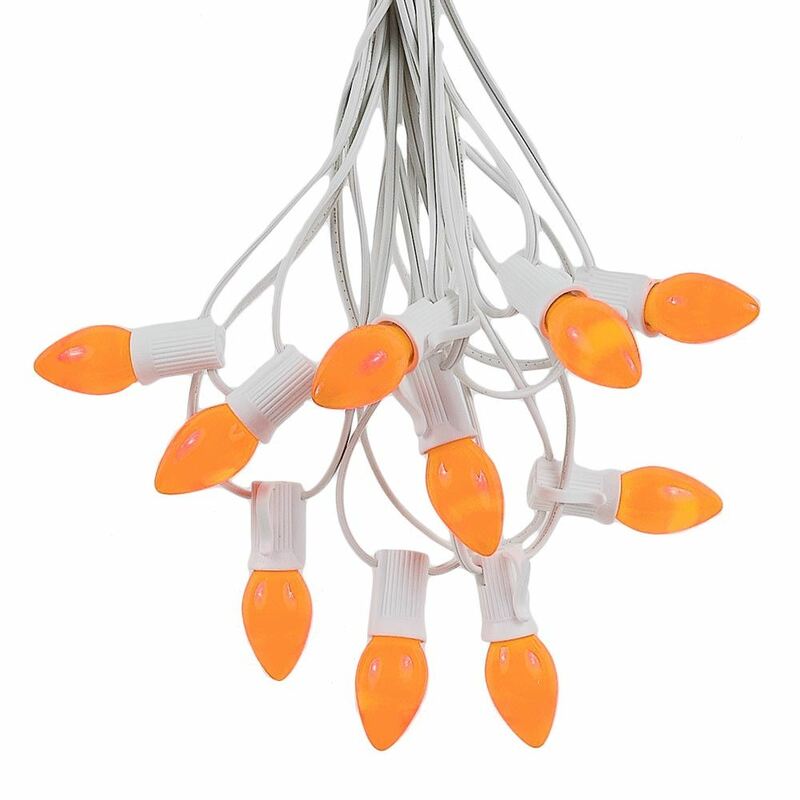 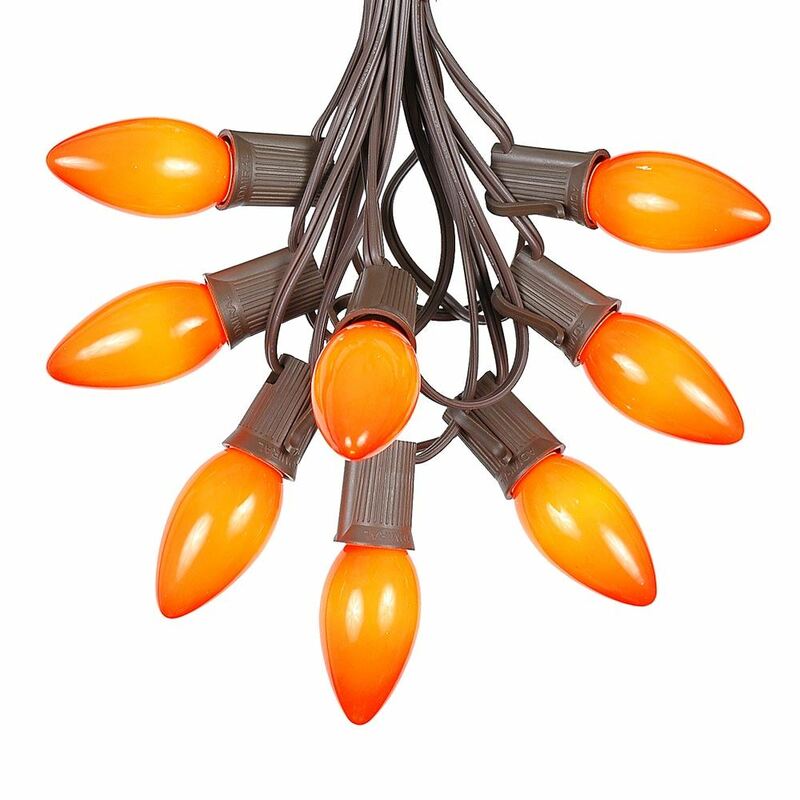 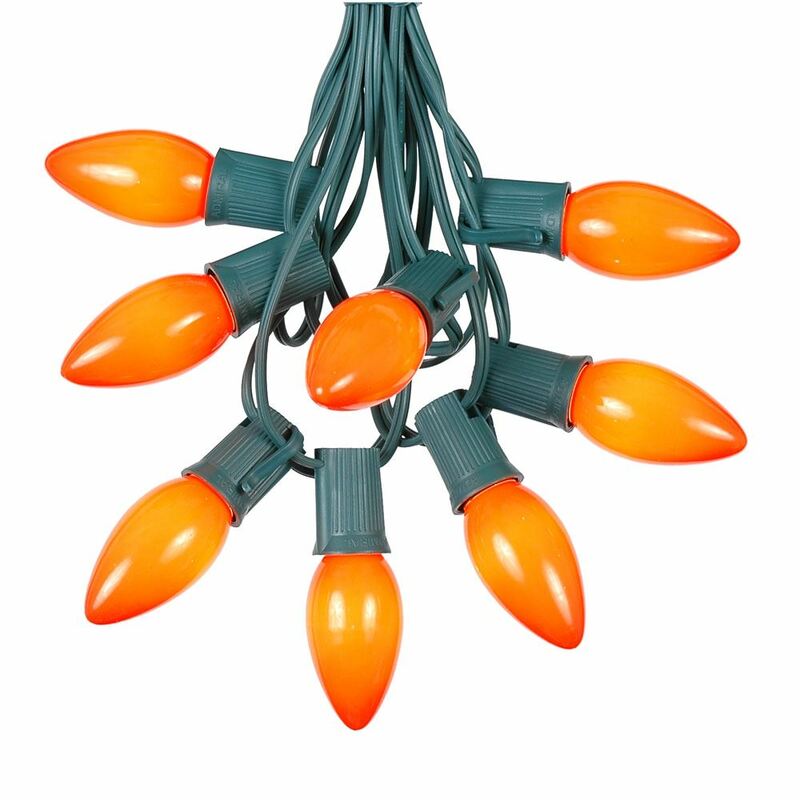 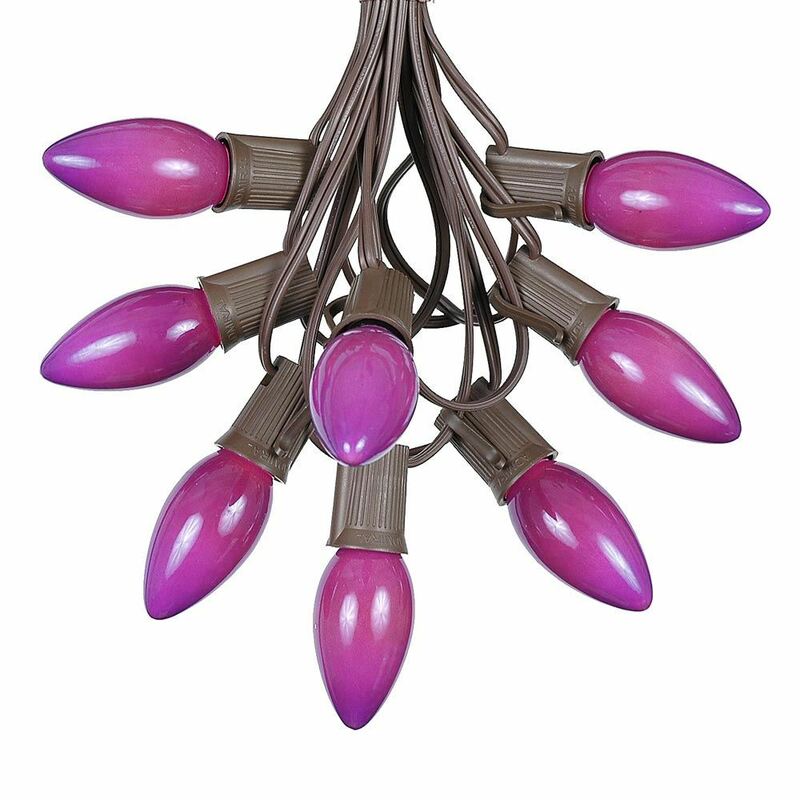 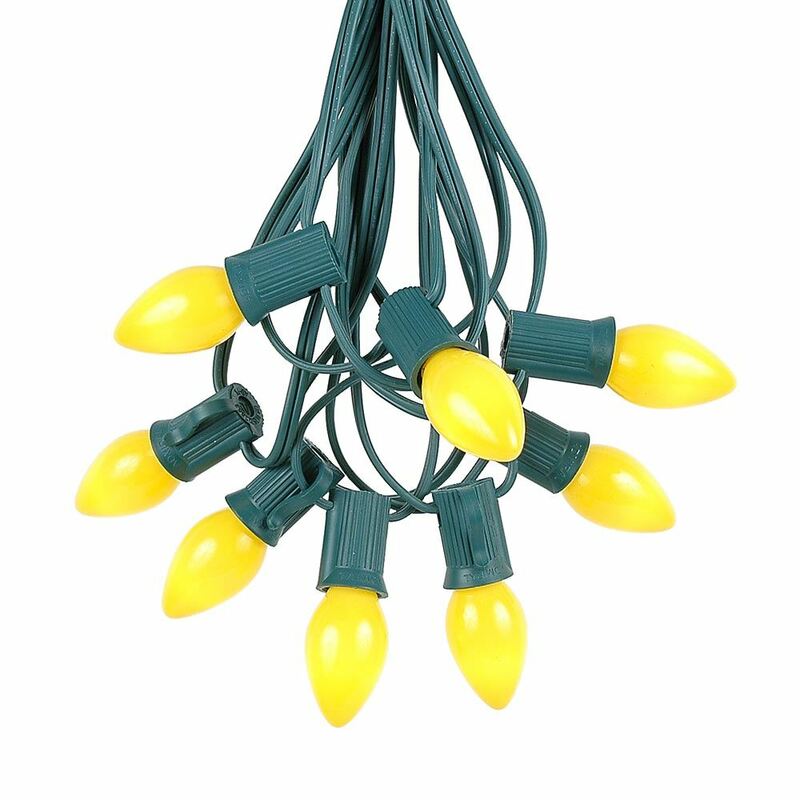 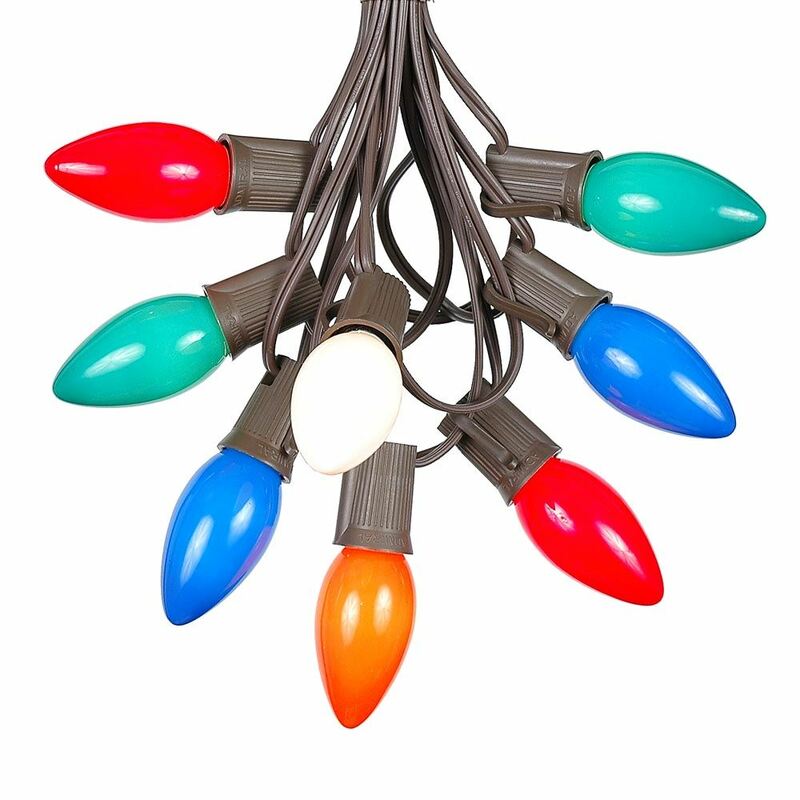 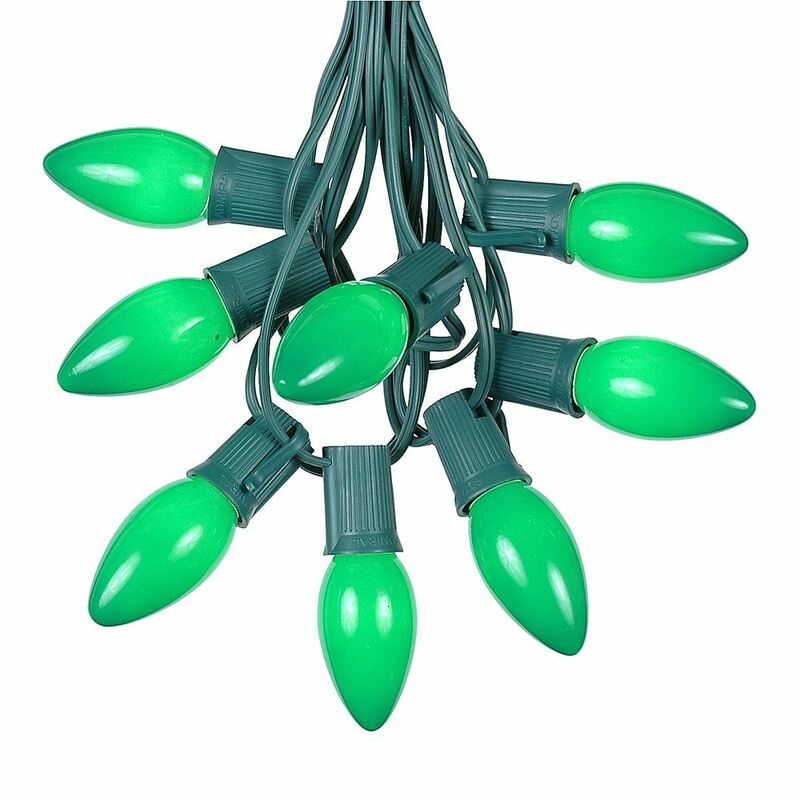 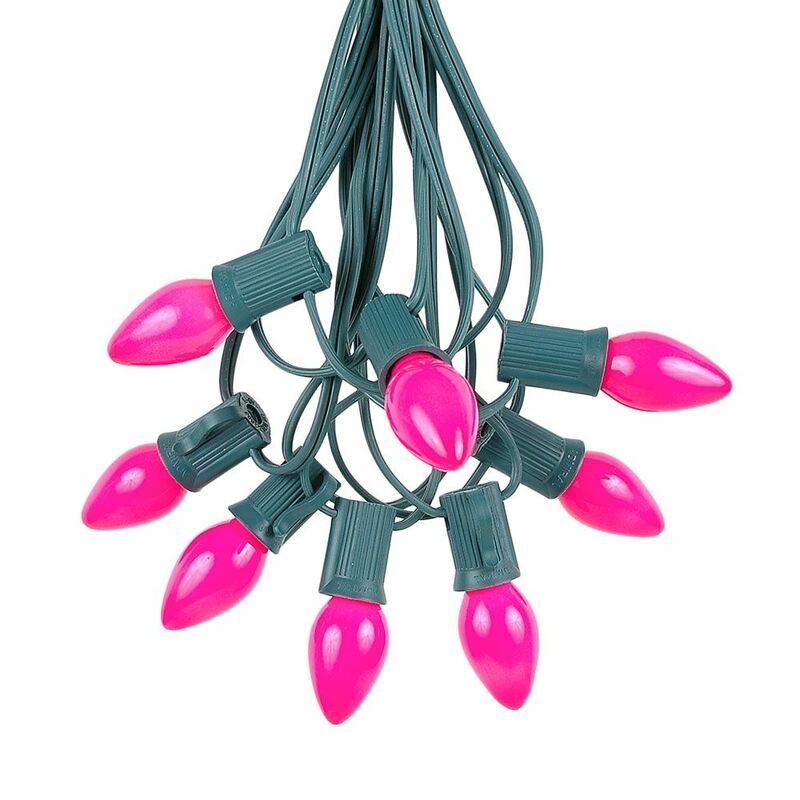 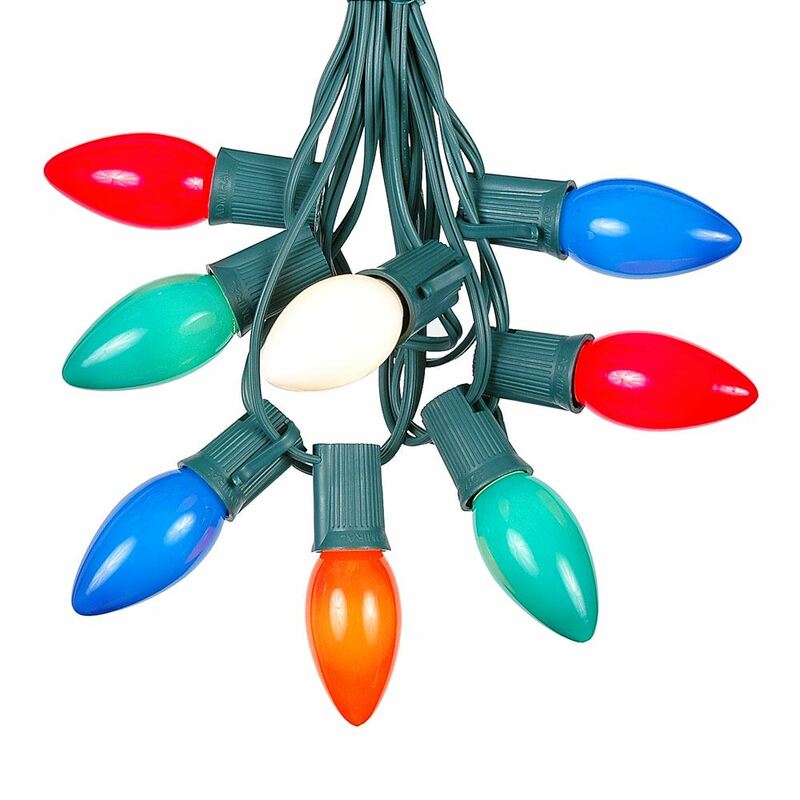 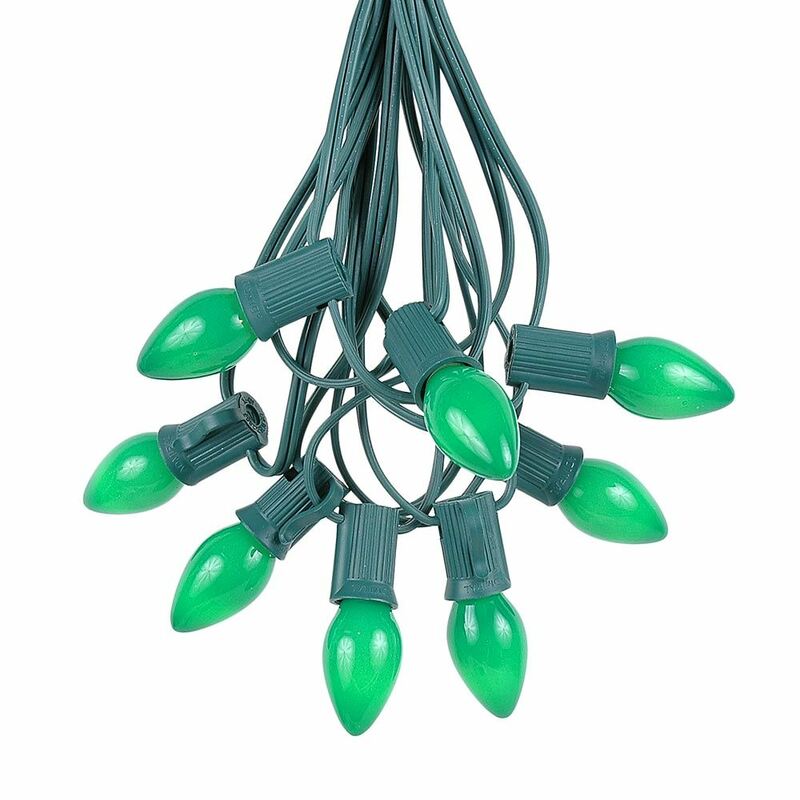 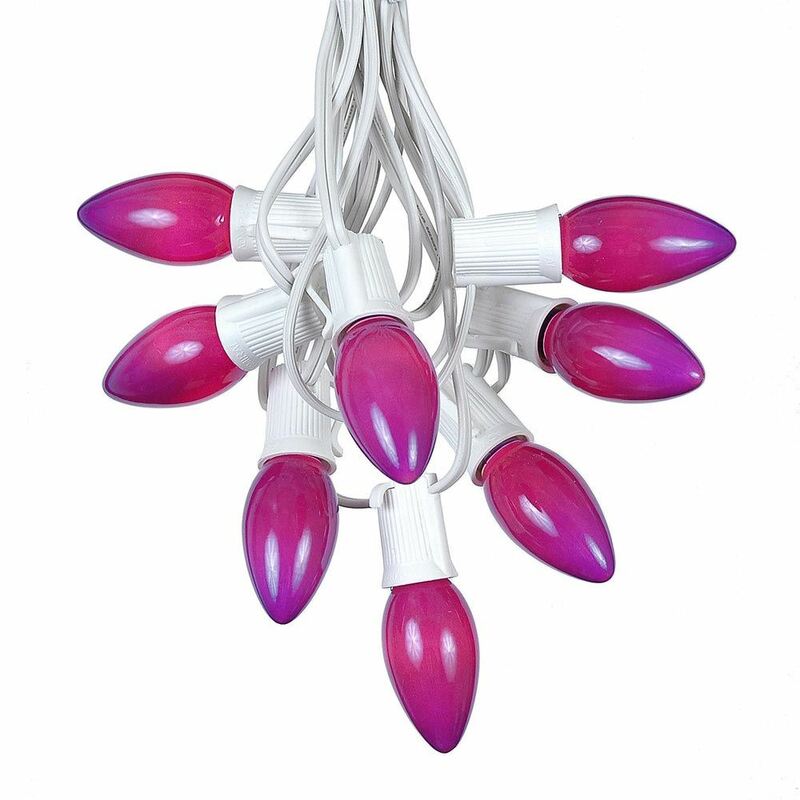 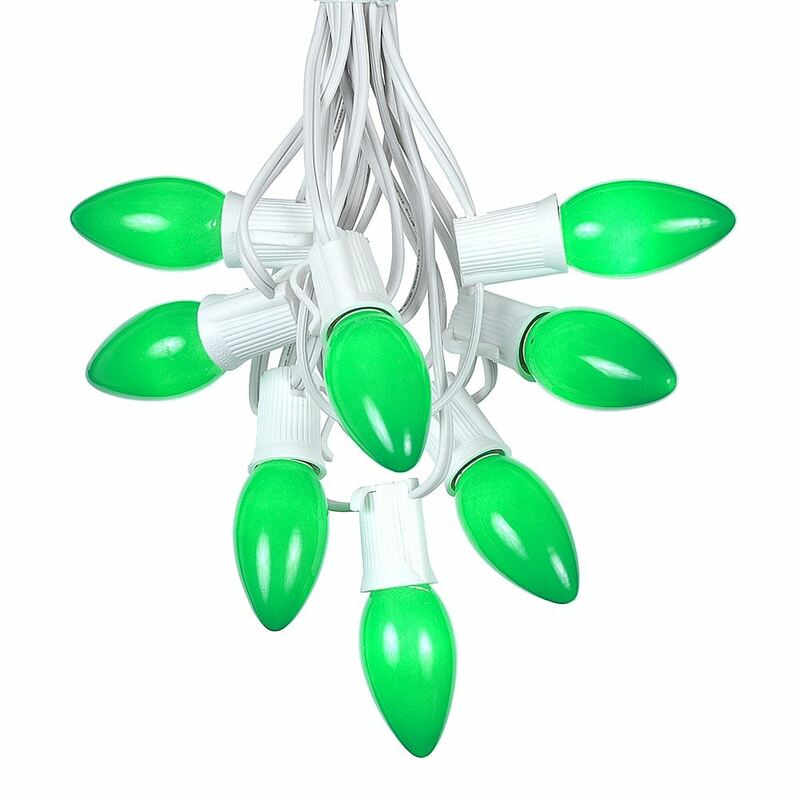 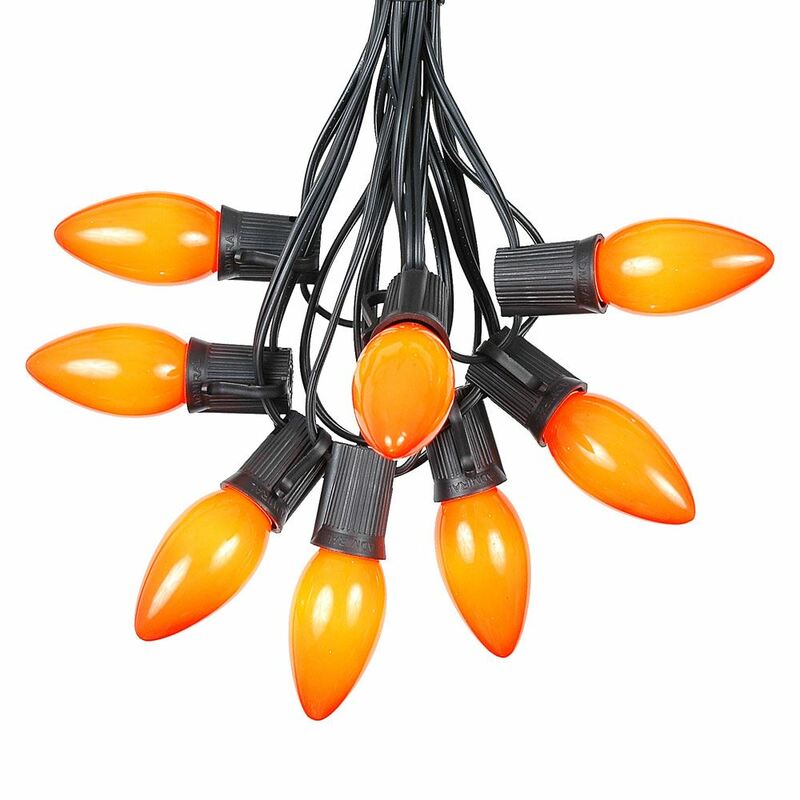 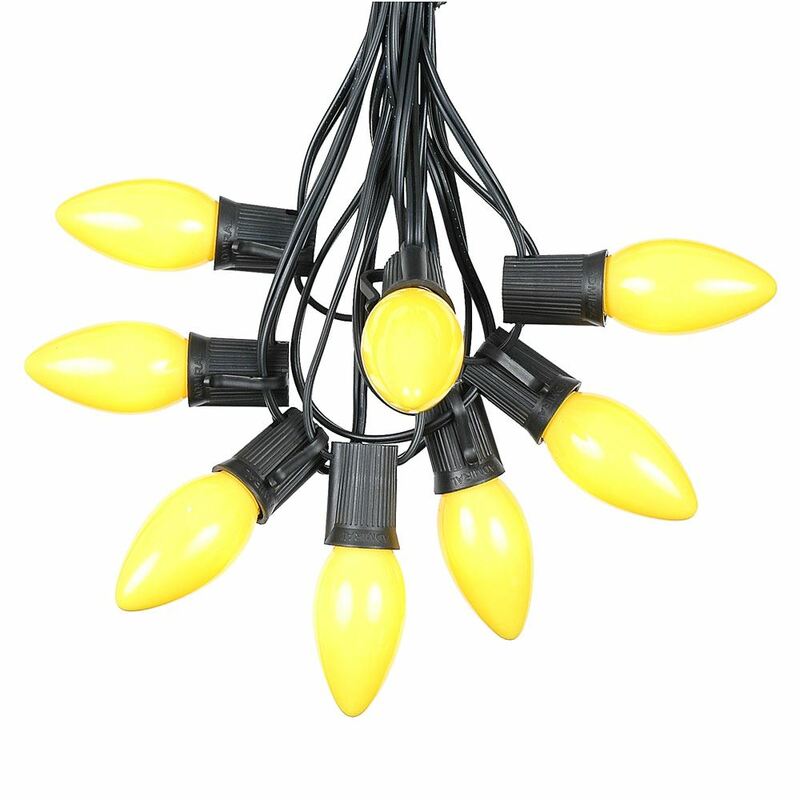 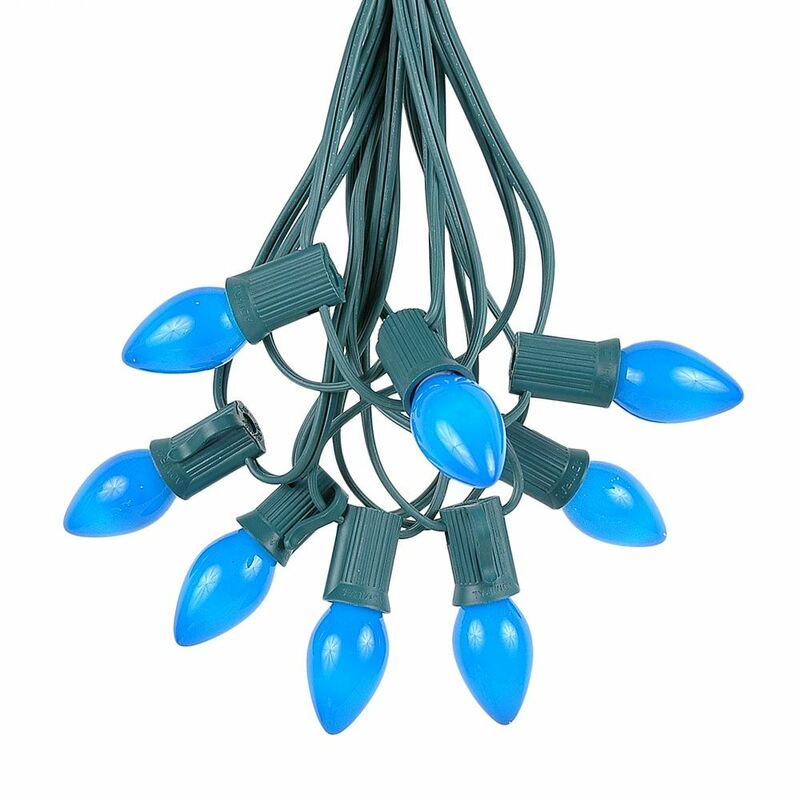 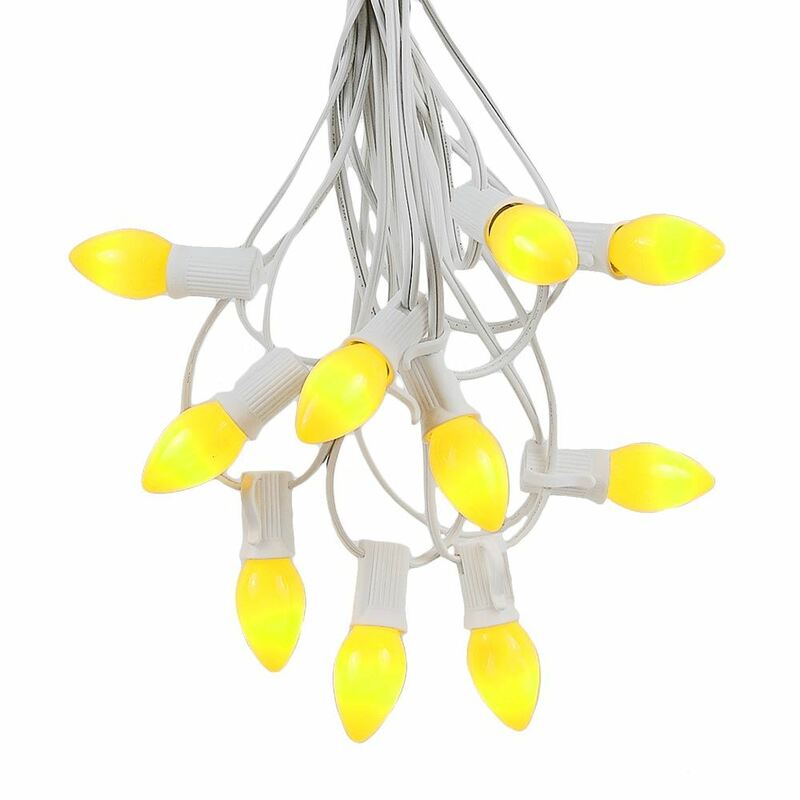 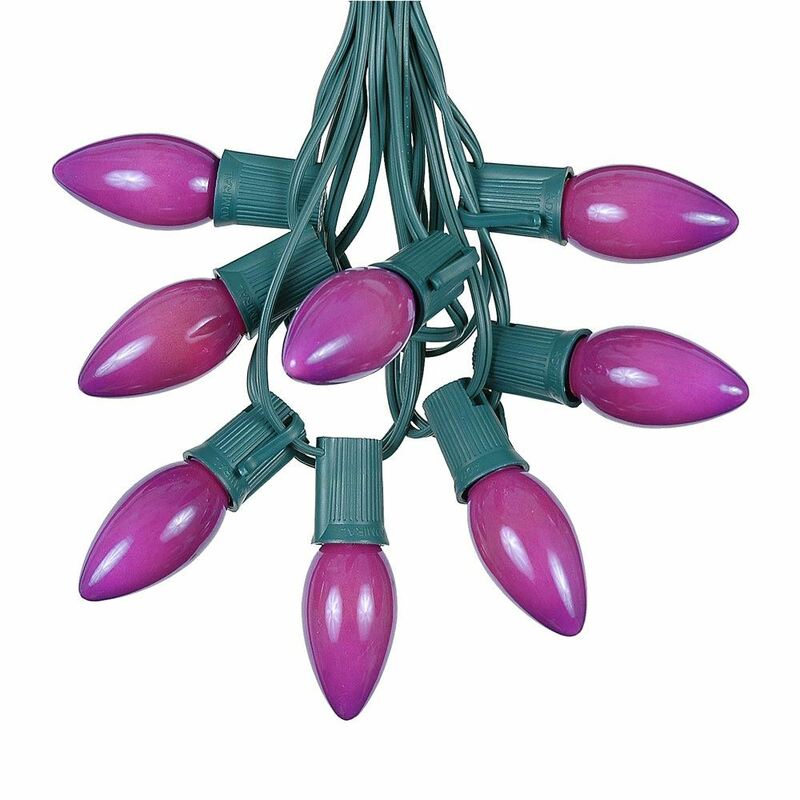 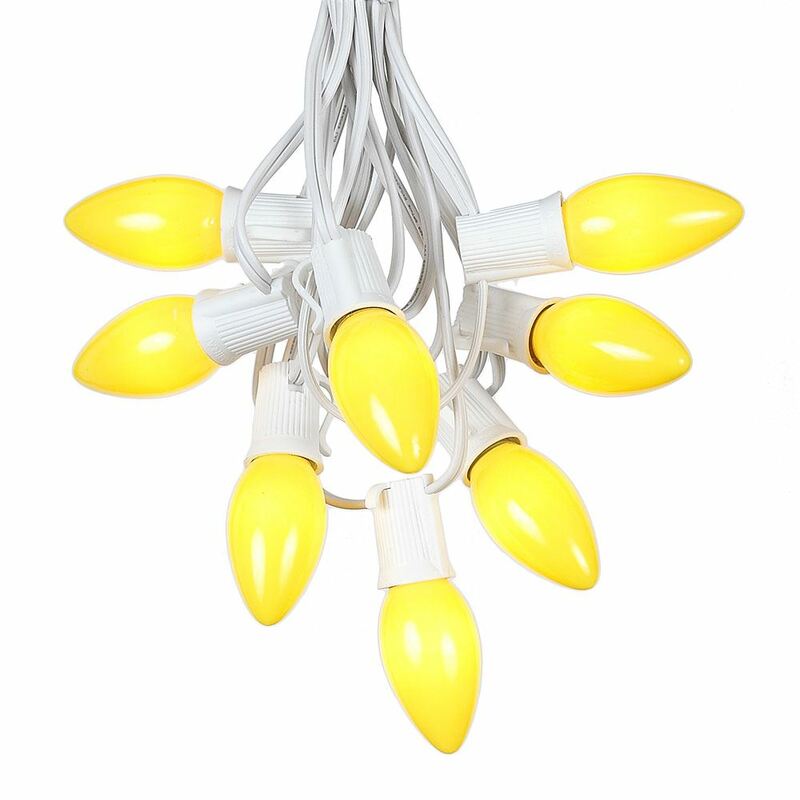 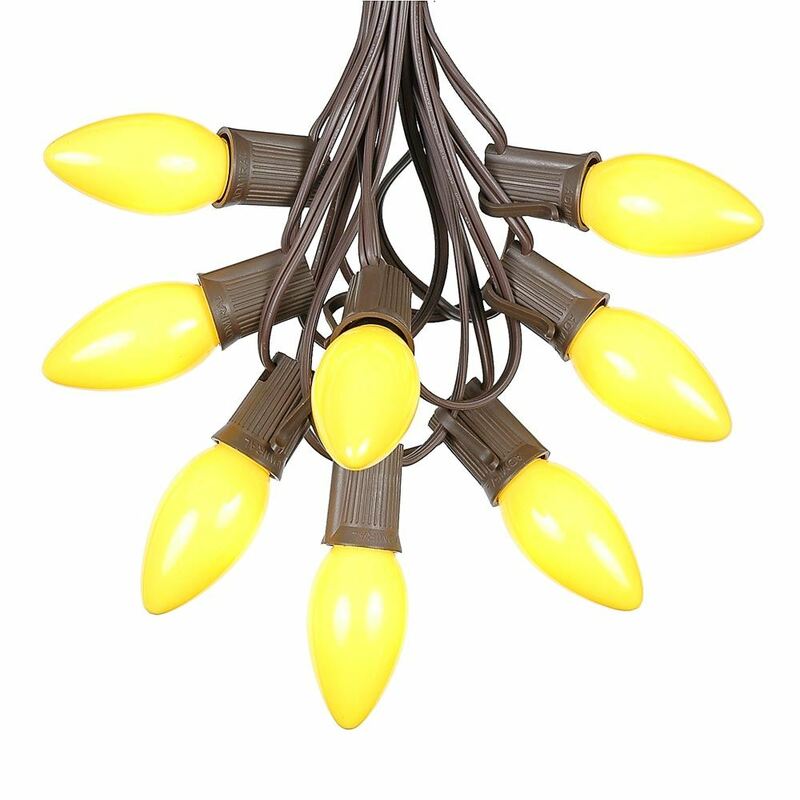 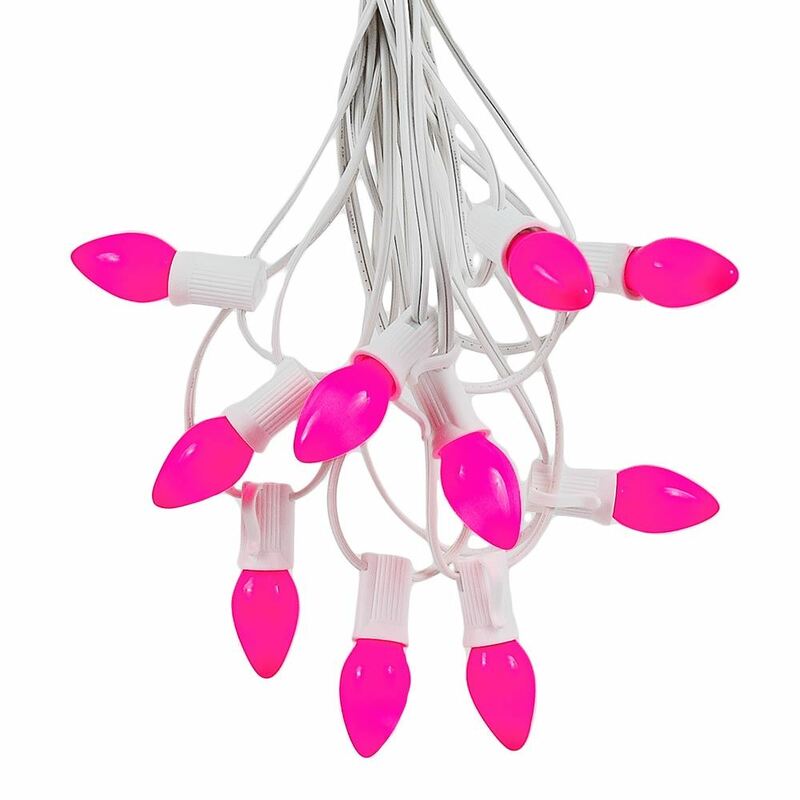 Ceramic opaque colored outdoor C7 & C9 Christmas string lights sets available on both green and white wire and every color possible. 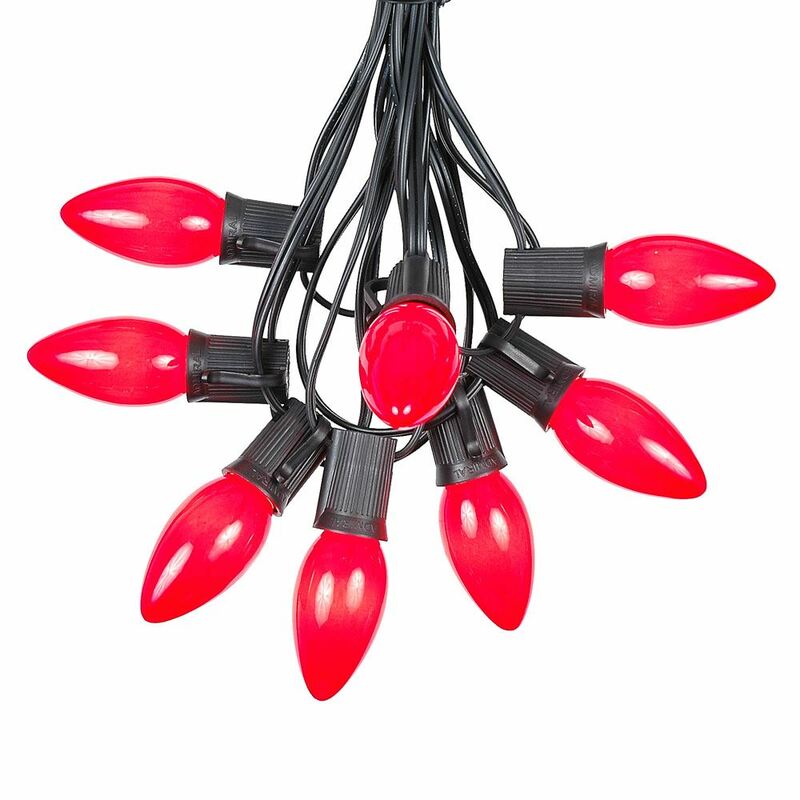 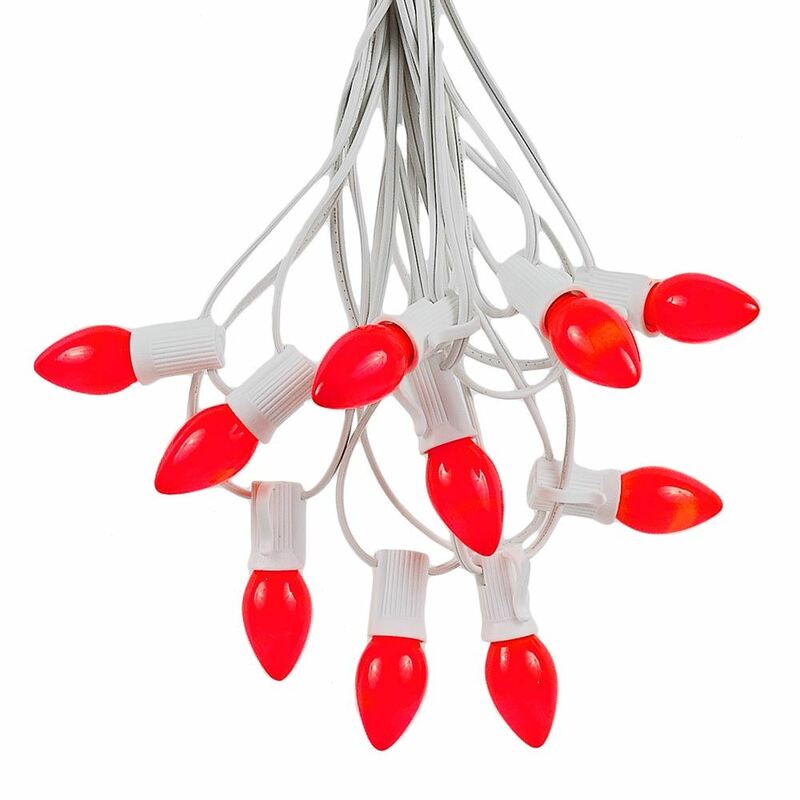 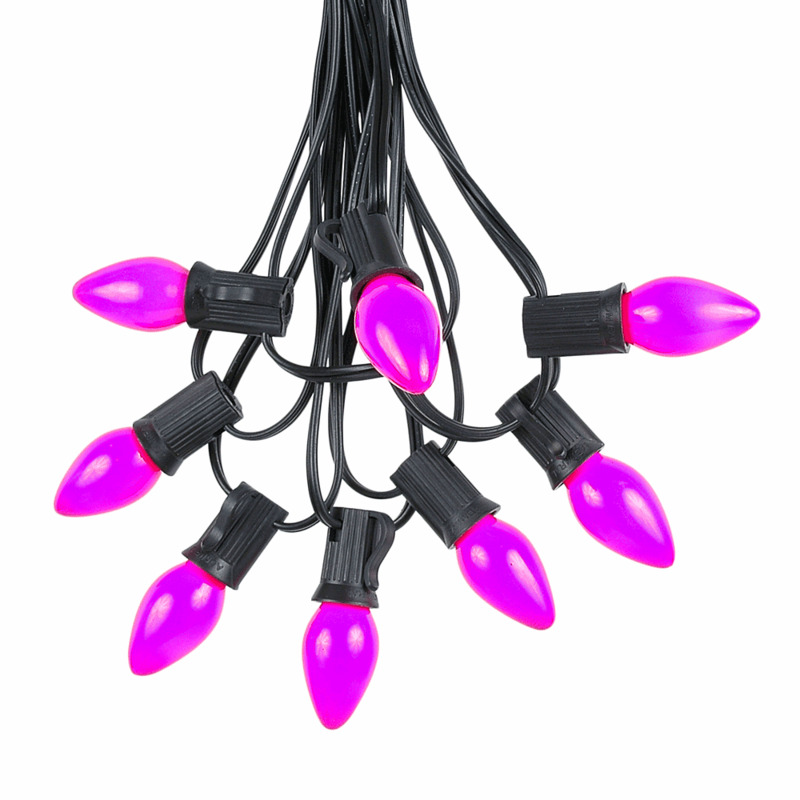 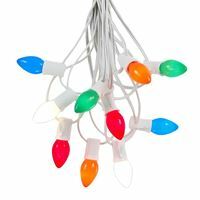 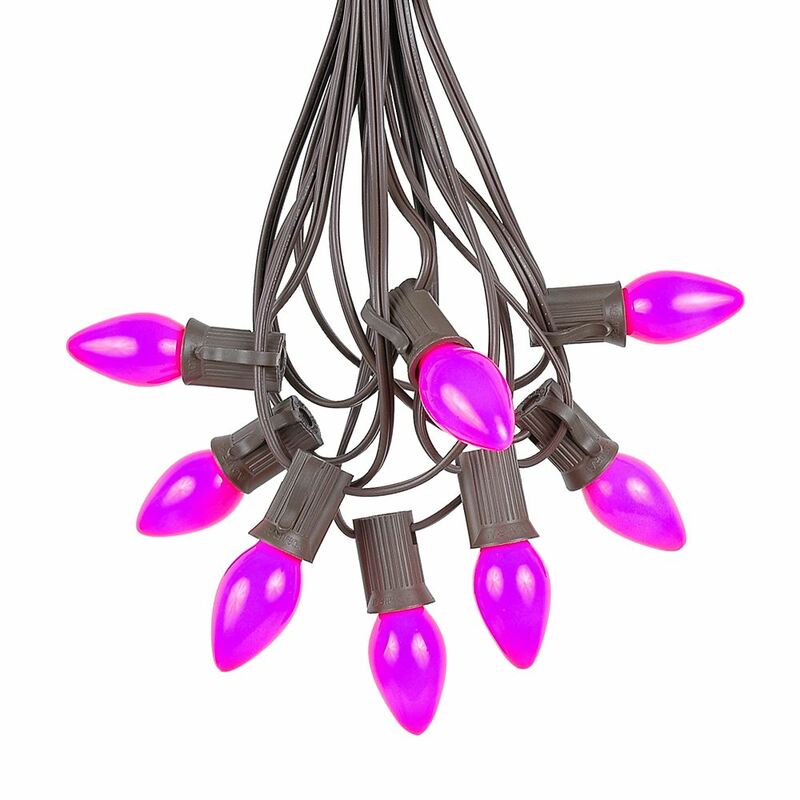 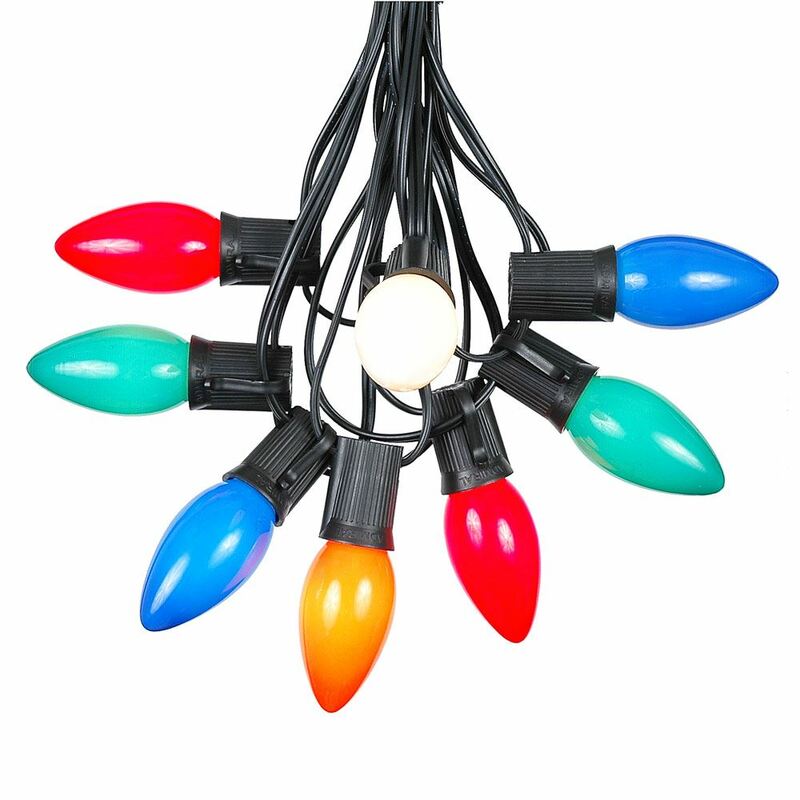 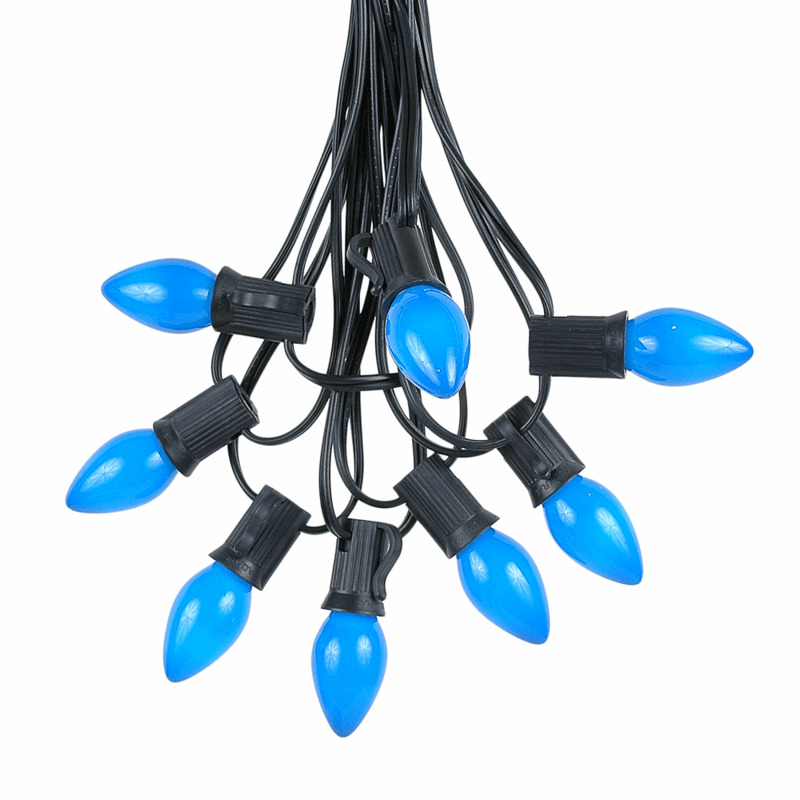 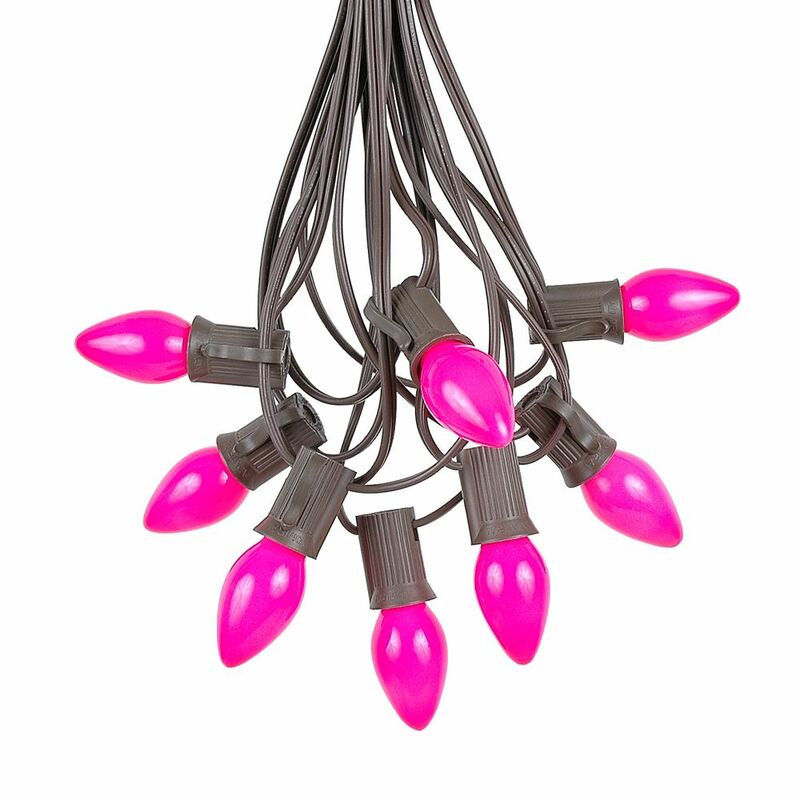 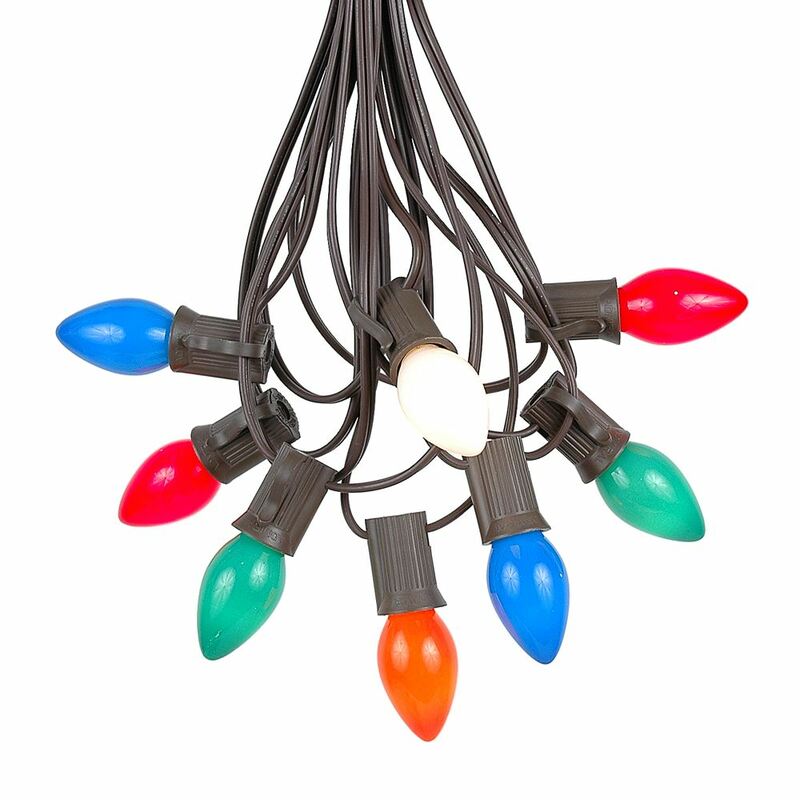 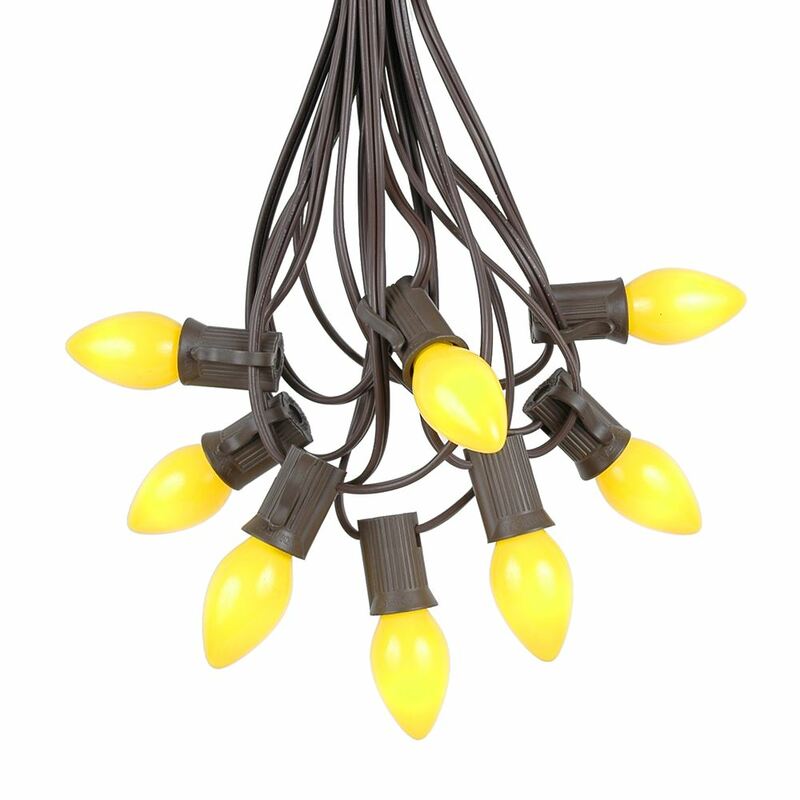 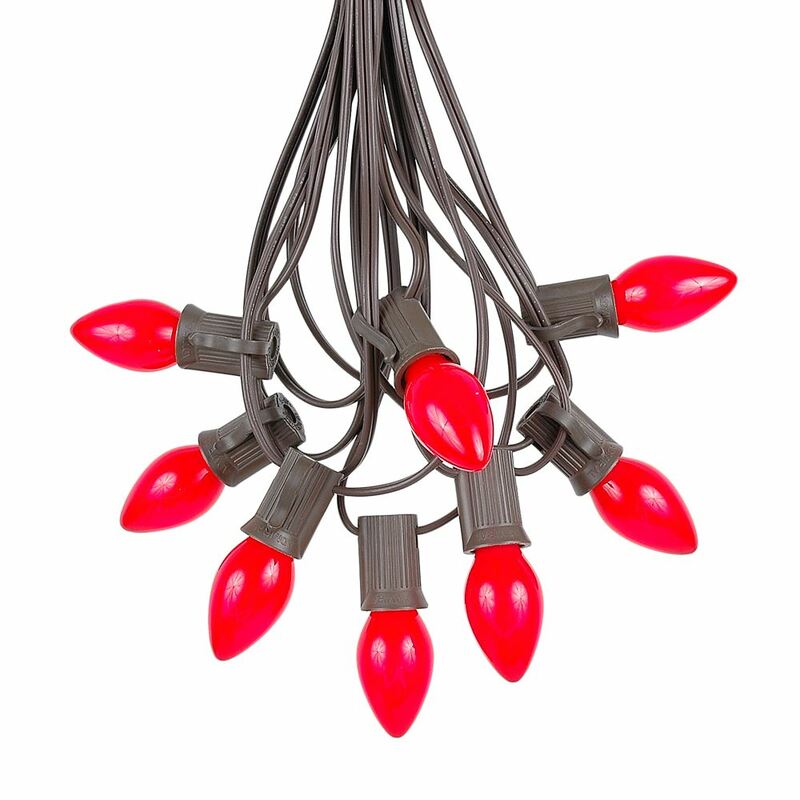 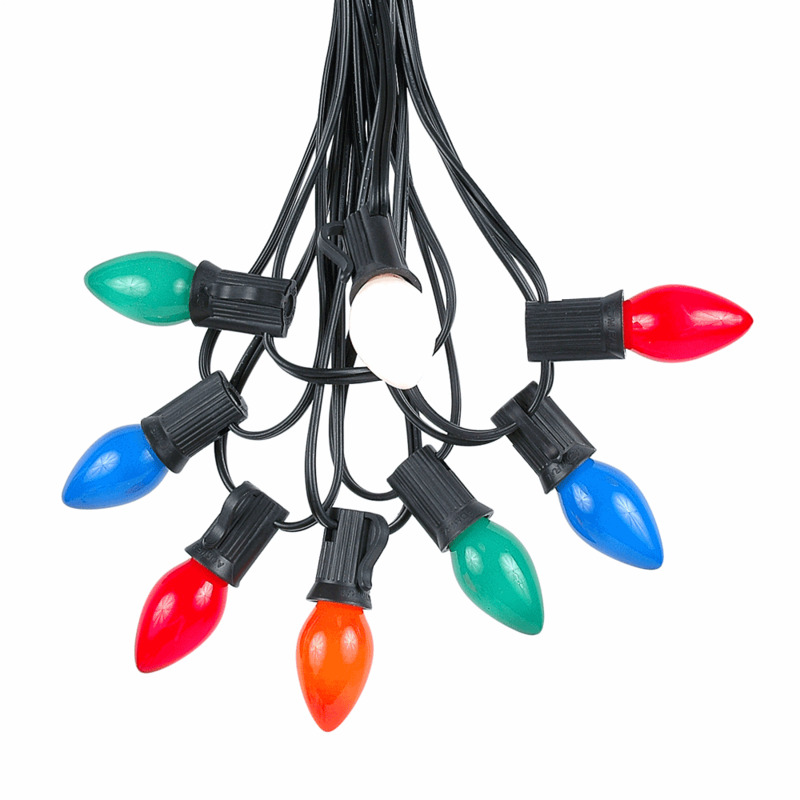 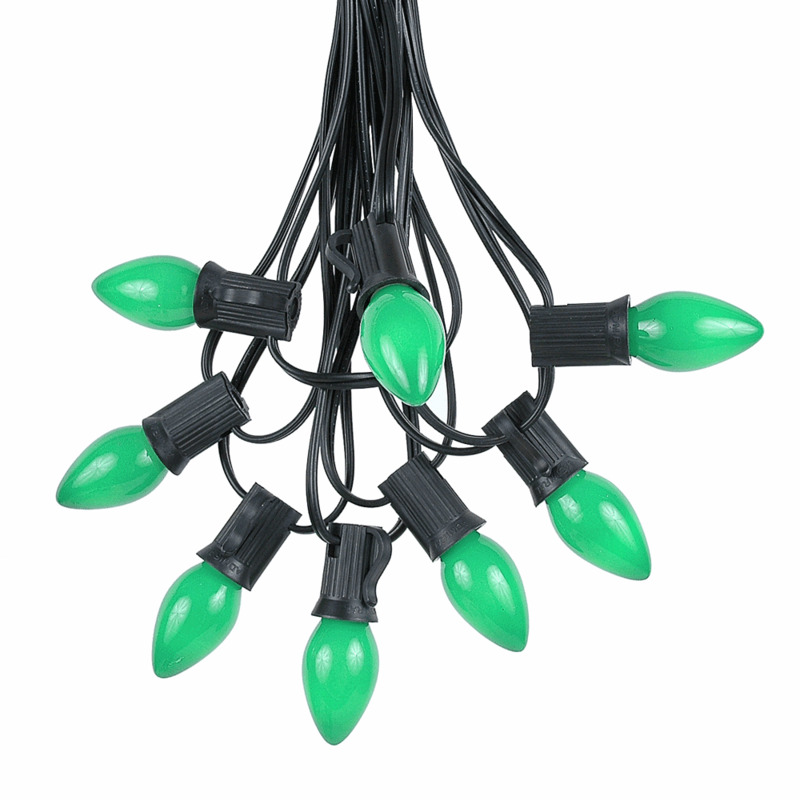 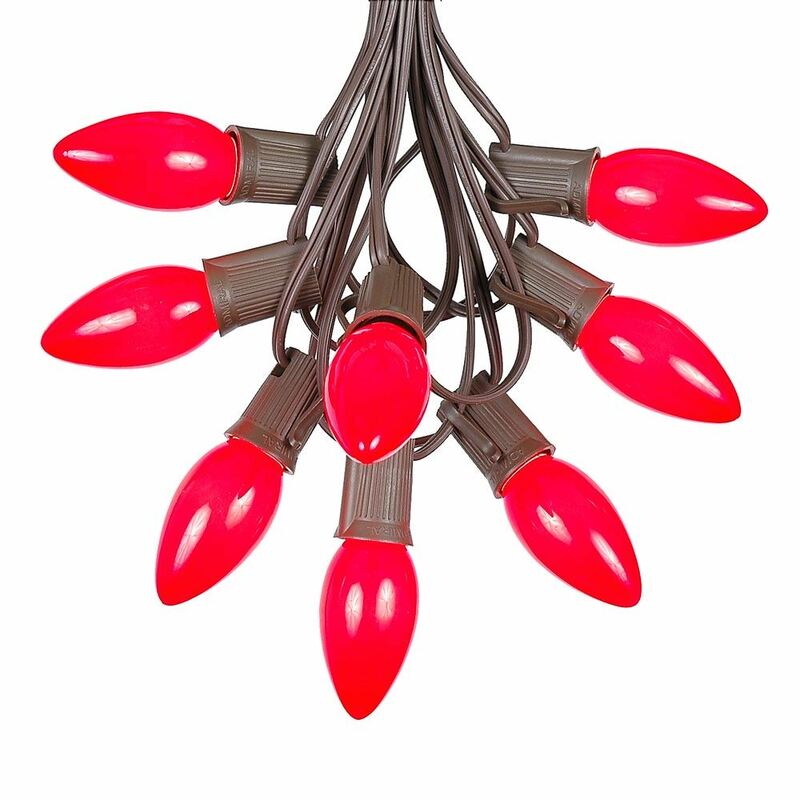 Our ceramic C7 & C9 light strings are easy to use because they come with a 25 pack of bulbs and a 25' stringer to put them in. 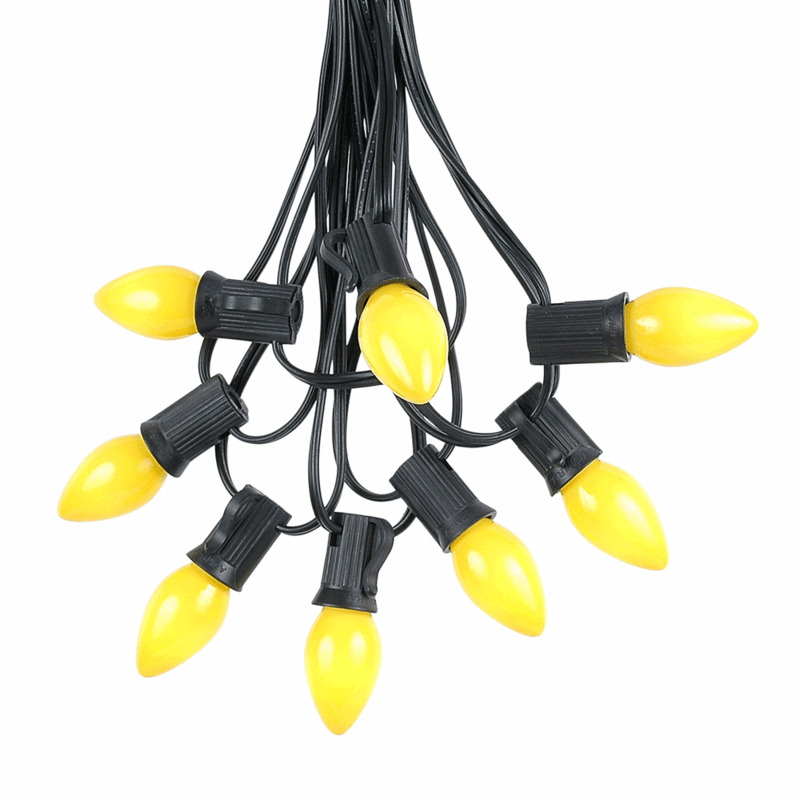 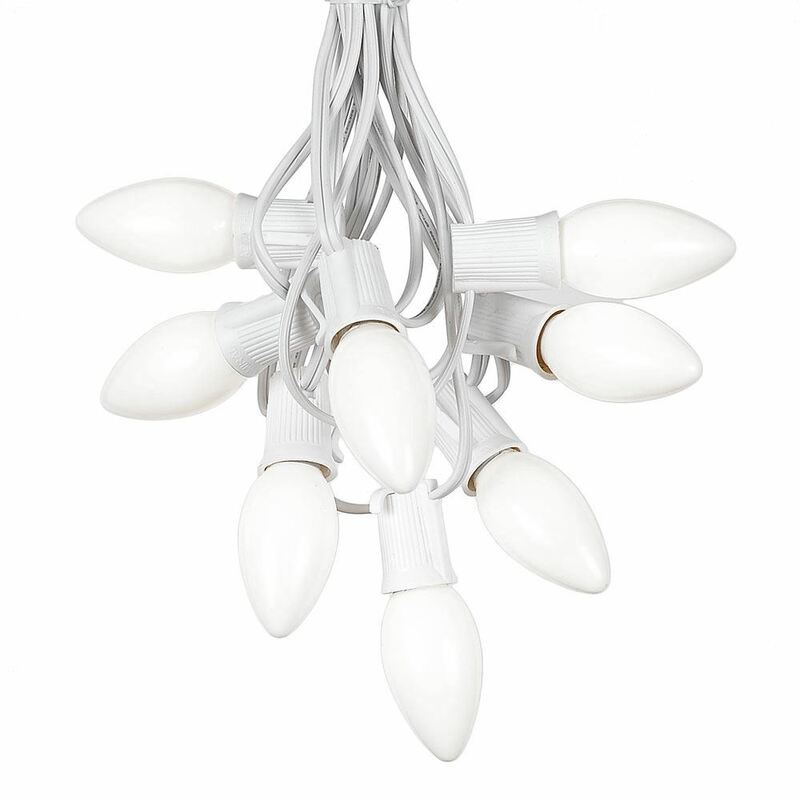 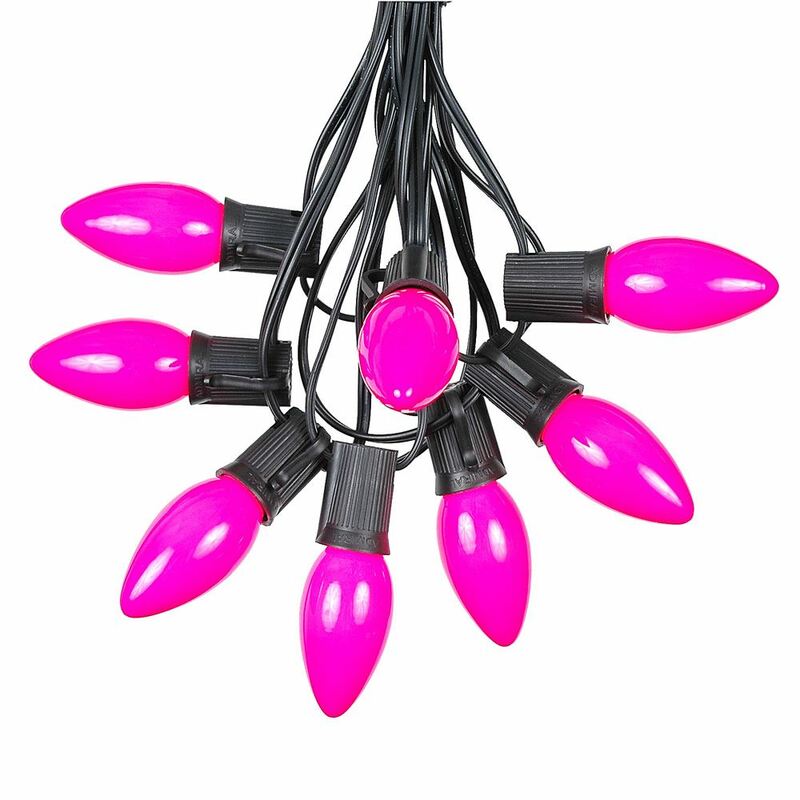 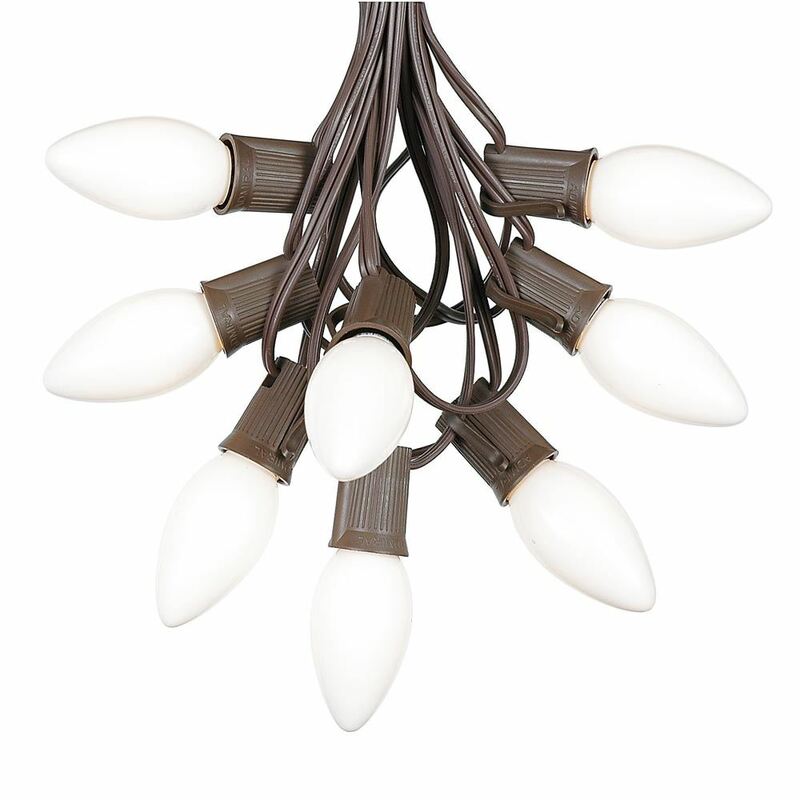 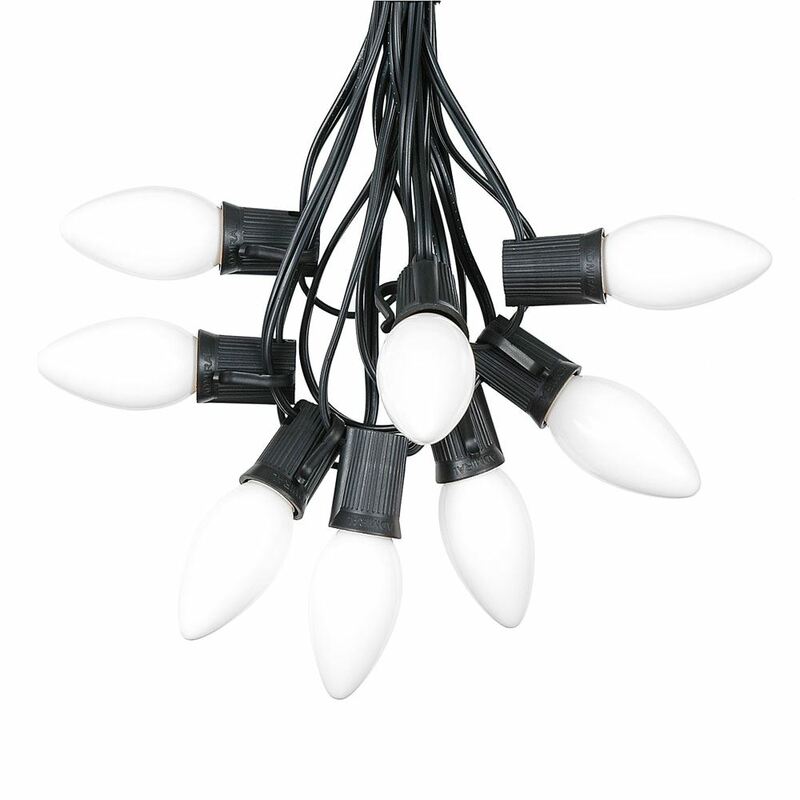 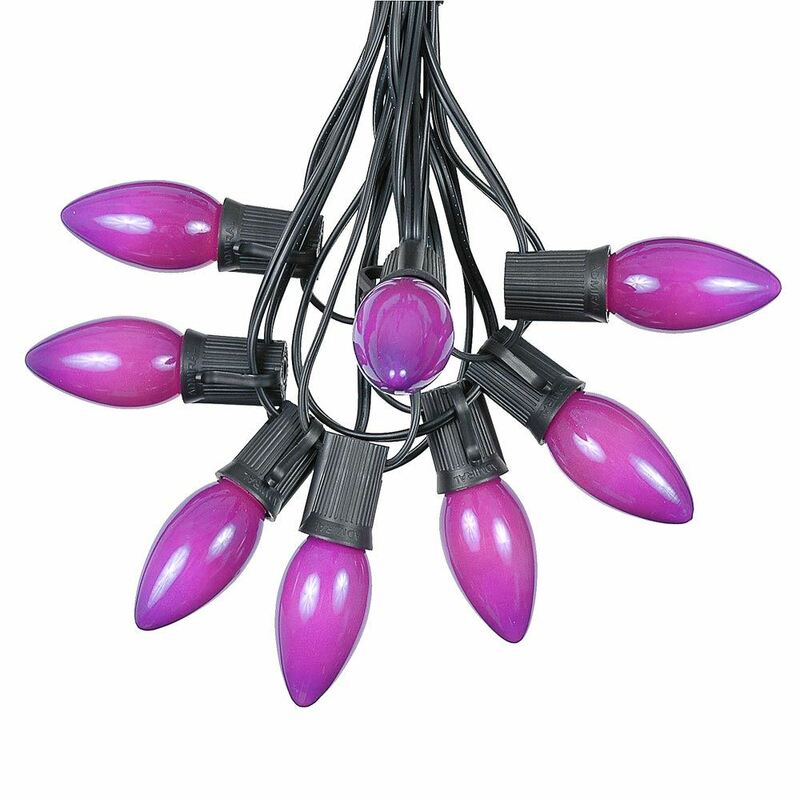 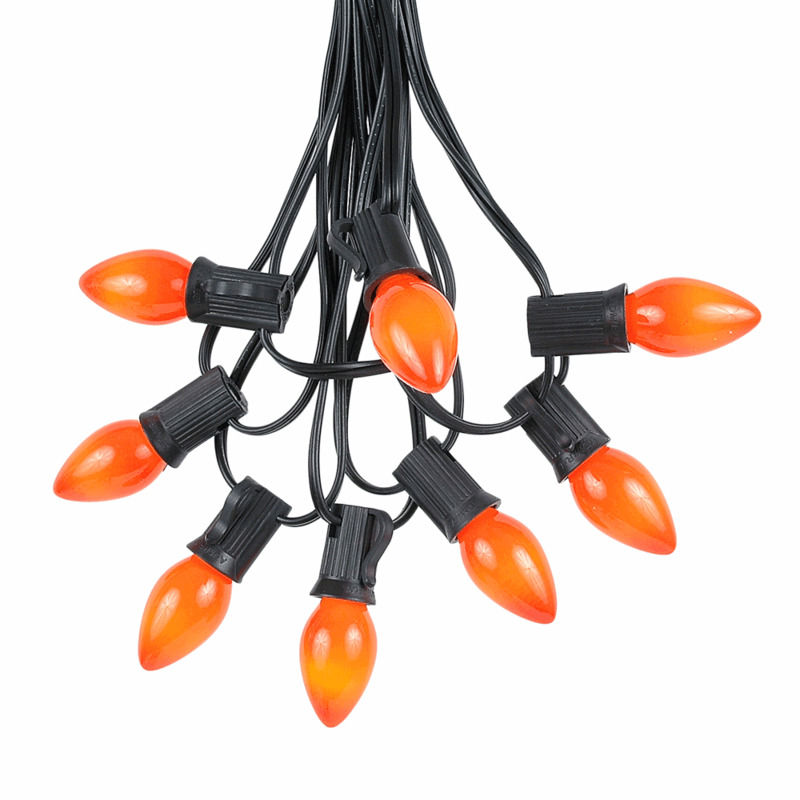 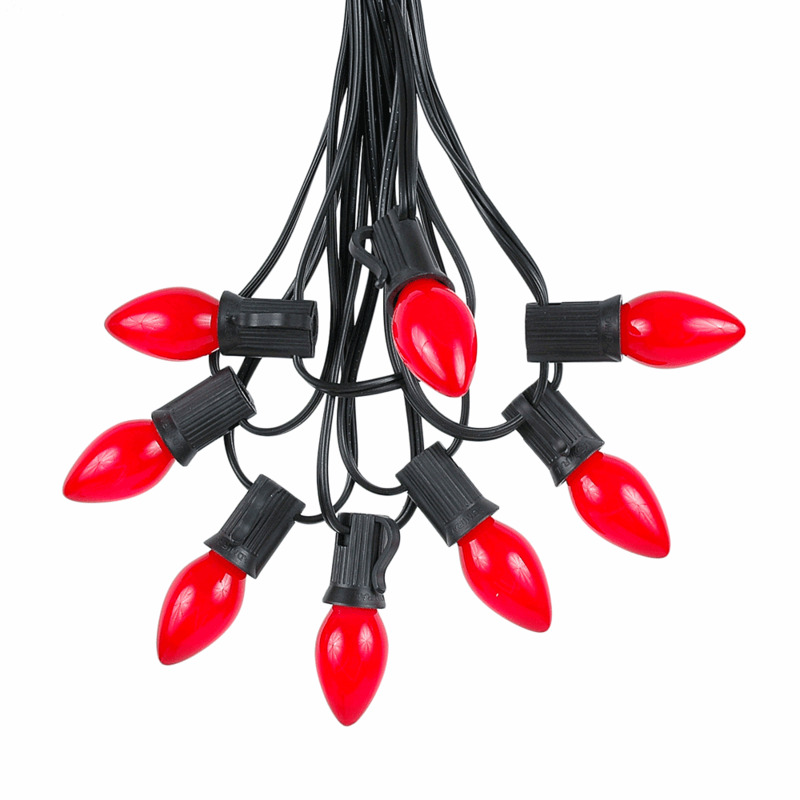 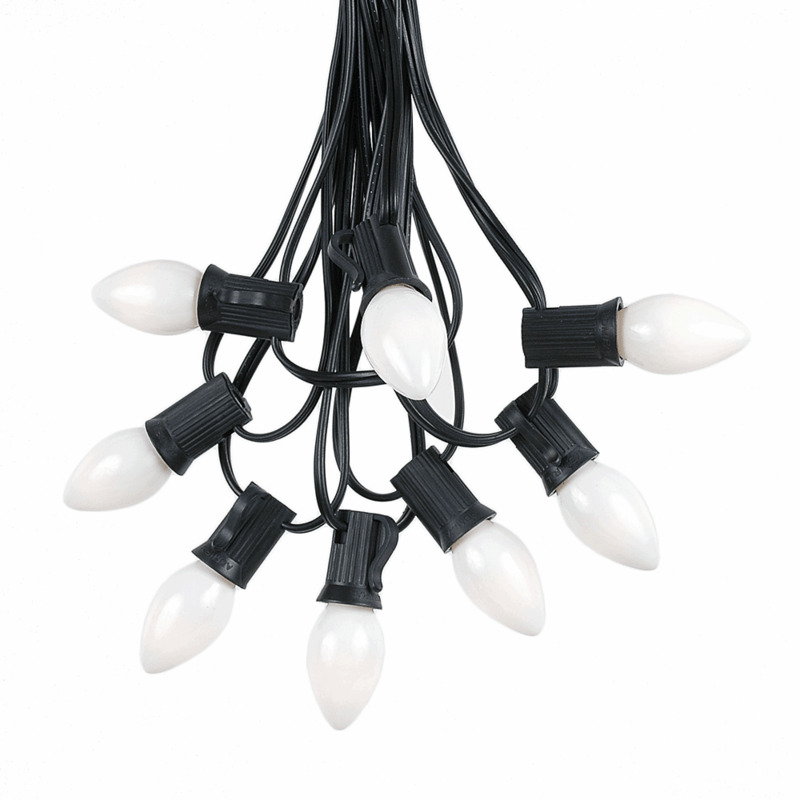 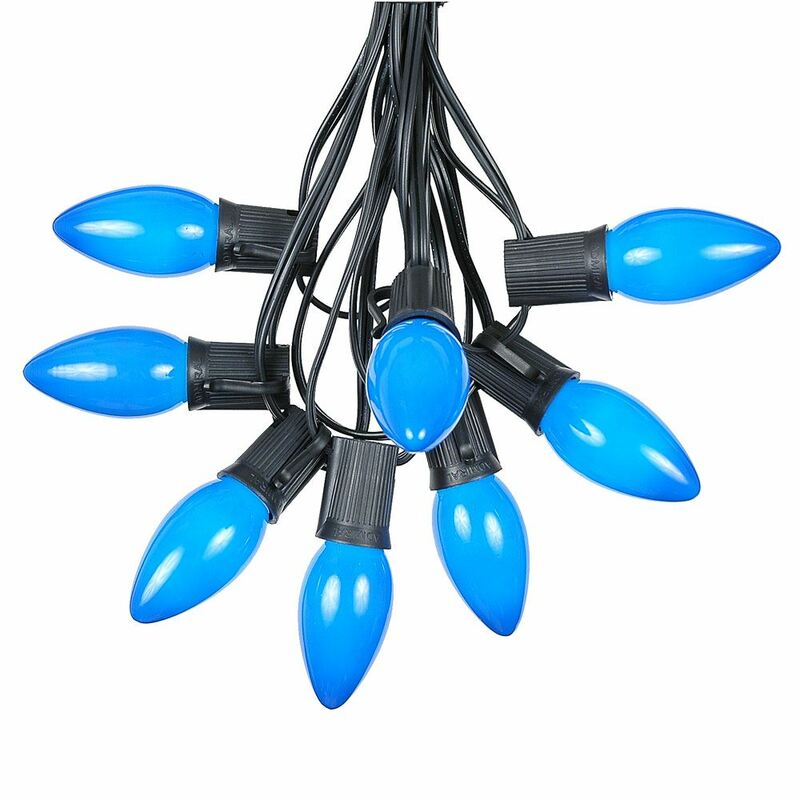 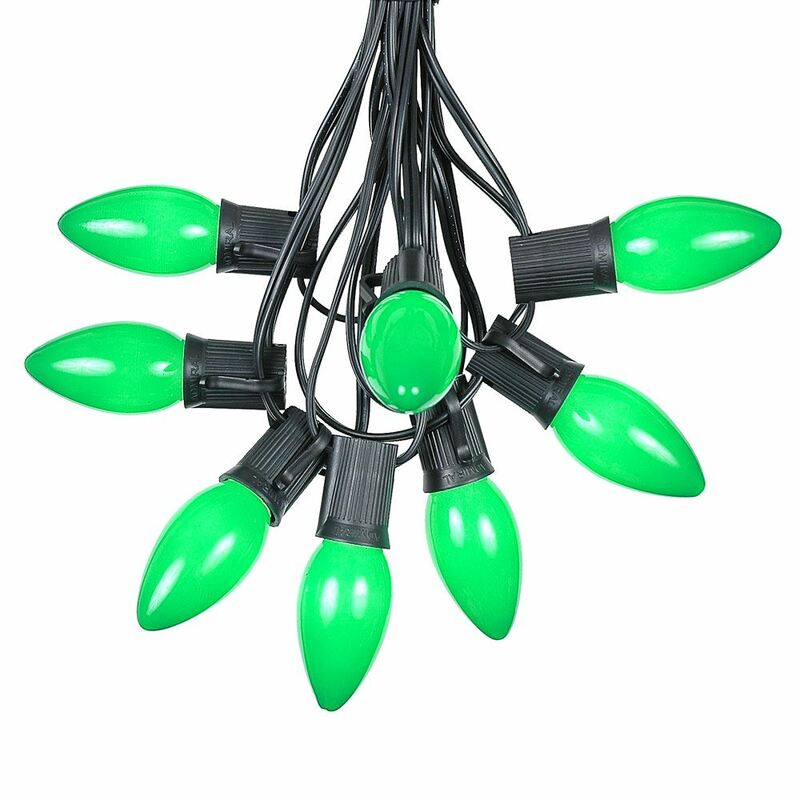 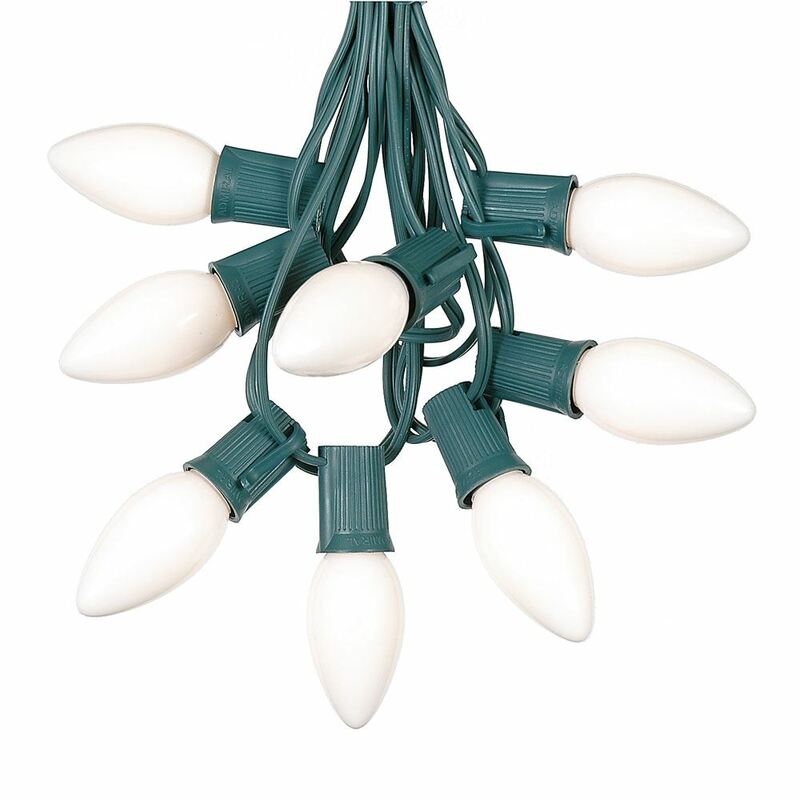 We also offer a deluxe package that includes an extra set of bulbs at a discounted price.